There was 441 years of experience in health care at the Perinatal and Infant Mental Health Workshop, just one part of the month-long event supporting mental health leaders from six Pacific Island nations. A really cool event happened in Cairns from July 1st to 26th. James Cook University’s School of Nursing, Midwifery & Nutrition hosted eighteen Mental Health Nurses from Western Pacific nations; specifically, Papua New Guinea, Fiji, Palau, Kiribati, Cook Islands and the Solomon Islands. Funded via an AusAID Australian Leadership Award, leaders in mental health nursing from these countries had the opportunity to attend lectures, participate in workshops, make site visits to public and private mental health facilities, and other activities aimed at providing educational opportunities they may not be able to acquire at home. Also, it is interesting to read this interview with Jeffrey Alphonse, a mental health nurse from Papua New Guinea who attended the course. 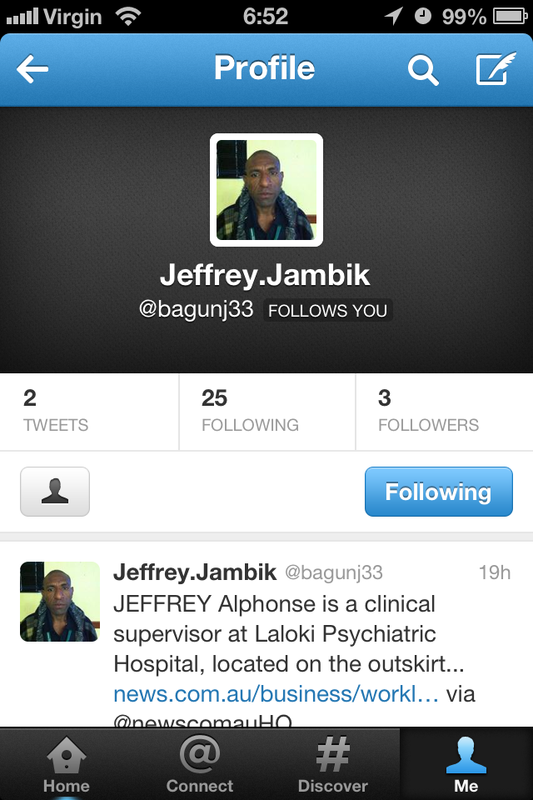 Jeffrey conveys a sense of life living and working in in a PNG mental health inpatient facility. I am sure that the JCU crew have evaluations of the event that will probably pop-up in reports/journals/online soon enough. That’s the sort of thing researchers are really good at. OK. What’s This Blog Post About Then? For this blog post I just want to touch on two cool outcomes from my perspective: the perspective of one who was not an organiser or “insider” to the event, but not a complete outsider to the event either. It was an honour to be invited to meet with the Mental Health Nurses from the Pacific for two occasions. The first visit was an opportunity to introduce my role and compare/contrast the way mental health nurses are deployed in Australia and in the Pacific. Something I learnt is that it is easier to have nurse-led programs in Pacific nations because, to put it bluntly, there are often no other mental health professionals available. 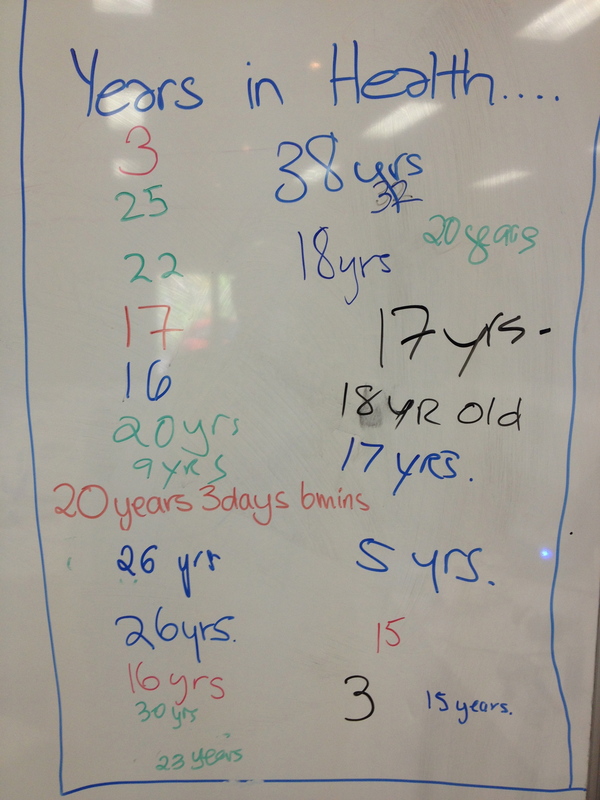 There was 441 years of health care experience at the Perinatal and Infant Mental Health Workshop on 12/07/13. The second visit was to facilitate a Perinatal and Infant Mental Health (PiMH) Workshop on 12th July. The workshop was different from the usual ones I run because of the vast amount of diverse cultural and clinical experience in the room. Obviously, the vast majority of the participants were mental health nurse leaders from the six Pacific Island nations listed above, but a couple of social workers from the FNQ Medicare Local and a JCU Student Nurse also participated, and some of the JCU Faculty were also able to pop-in for a while. I have mentioned the structure of the workshop in a previous blog post (see here). Although this workshop had plenty of differences in participant experiences (great learning for me! ), the content/agenda we covered was pretty-much the same as previous PiMH workshops, just presented in a slightly different manner. The workshop contributed to the first of the two cool outcomes. A few of the participants, including Rose from the Solomon Islands, were interested in the way we have been trying to build mental health screening and support pathways into the day-to-day practice of antenatal and postpartum practice. 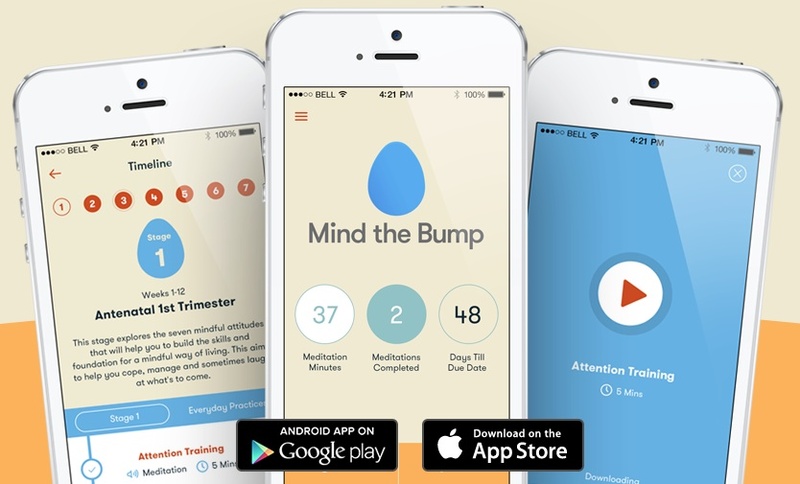 The notion of a prevention/early intervention, proactive “precovery” approach to perinatal mental health care was welcomed as a way to work in partnership with families, communities and other health professionals. The workshop was the first introduction to infant mental health for most of the participants, and had particular resonance with some in attendance. 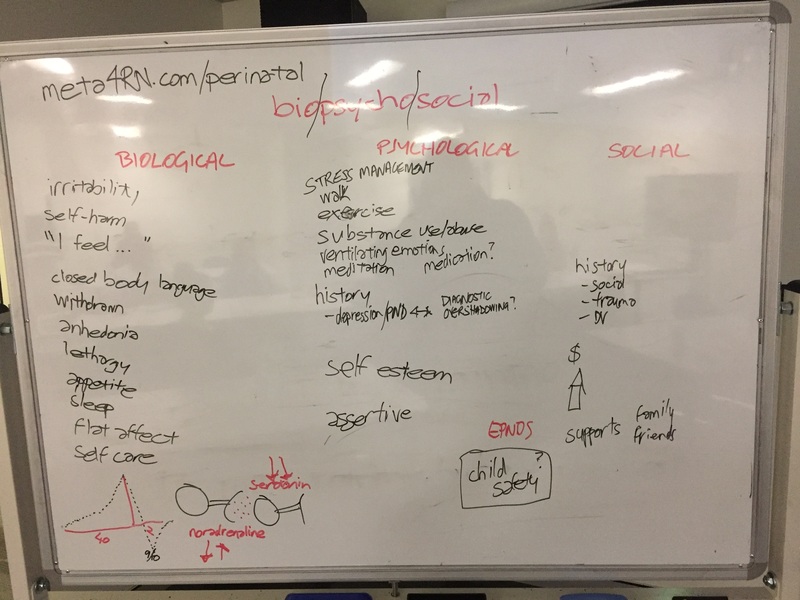 The workshop allowed us to discuss and consider some of the key concepts around infant mental health practice, and to give consideration to how it could be incorporated into healthcare in the Pacific Islands. Many participants, including those from Papua New Guinea, spoke of how it could enhance the way mental health and baby care is catered for in community-orientated village life. 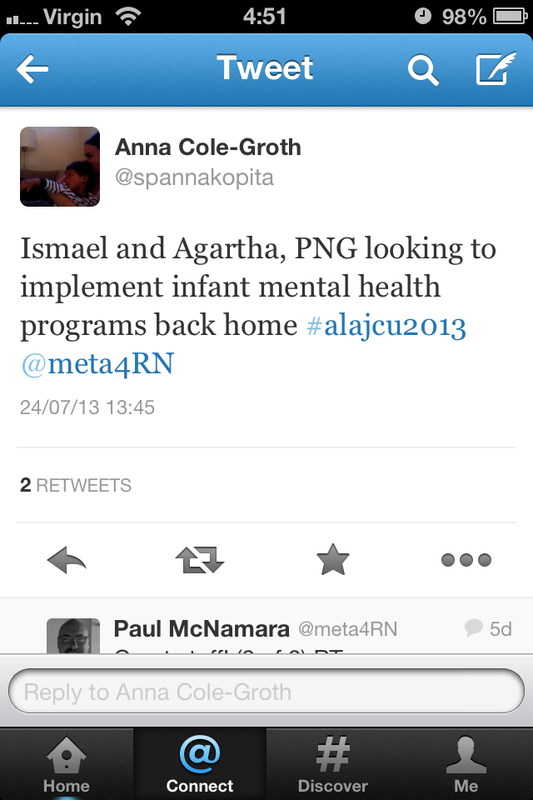 It is fantastic to know that some of the perinatal and infant mental information and models of care we have been using here in Australia might have a positive, knock-on effect with our two closest neighbours: Papua New Guinea and the Solomon Islands. 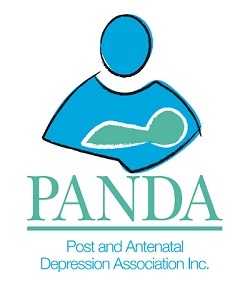 For me personally and professionally, after feeling quite dejected about the loss of a role funded by the National Perinatal Depression Initiative (NPDI), it is an unexpected and very welcome joy to think there may be an echo of the program I facilitated amongst our northern neighbours, via a grassroots, nurse-led, undertaking to trial some of these ideas. 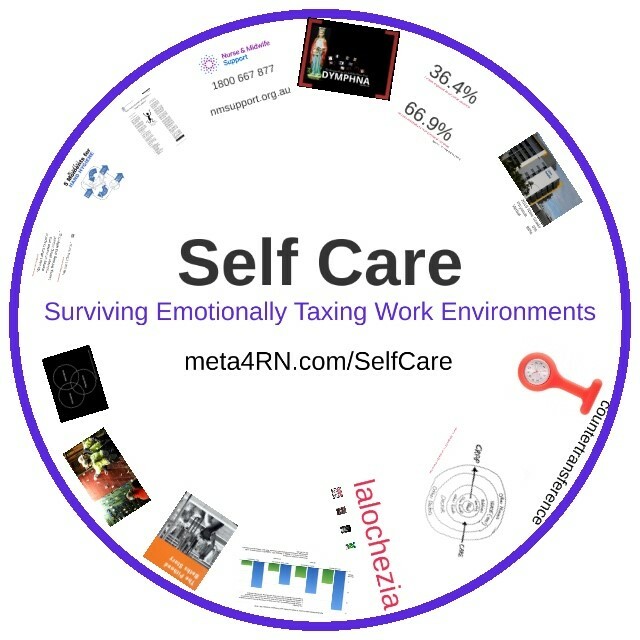 We (those of us who have had access to education and resources in this area) should do everything we can to support these mental health nurse leaders. 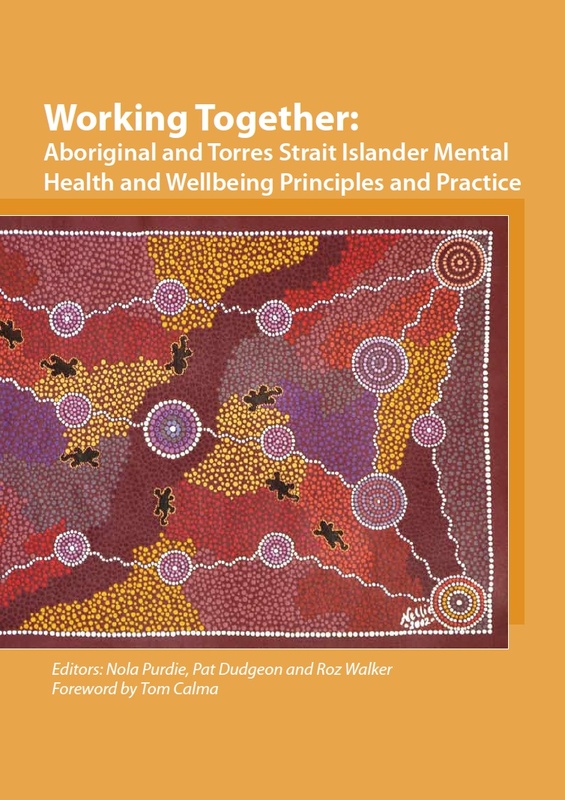 I hope that the Pacific Islanders will find the email network hosted by the ACMHN (Australian College of Mental Health Nurses) a useful bridge to information, resources and supportive, encouraging peers. Subscription to the Perinatal & Infant Mental Health Nurse eNetwork is free and simple; more info and instructions here and here. “Wantok” is pidgin for “one talk” (say it quick: it’s phonetic), ie: a shared language. In places like Papua New Guinea and the Solomon Islands the use of the word wantok is in context of a nuanced social system that I (a whitefella from Adelaide living in Cairns), may ever fully understand. So, for my benefit, let’s simplify the use of “wontok” to simply “those who share a common language”, as in “those who understand and like each other”. Mental health nurses, no matter what nation they live and work in, share the common experience of up-close and personal interactions with people experiencing mental illness. Most of us also share the goal/hope that we will find effective ways to promote good mental health, so as to lighten the load for individuals, their families and the community they live and work in. This gives us a shared language: we’re wantoks. #alajcu2013 participant opinions of SoMe use in nursing. 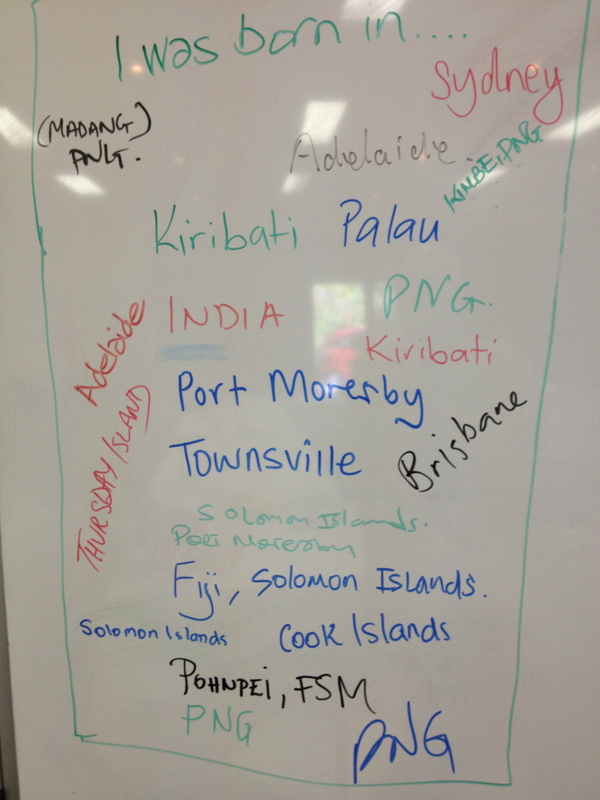 Great to get a South Pacific perspective. Mostly thumbs up! It’s such a good photo – I love the way Evan used the Facebook “like” symbol, and that the participants were straight down the line with whether they thought social media (aka SoMe) would be useful in their context. 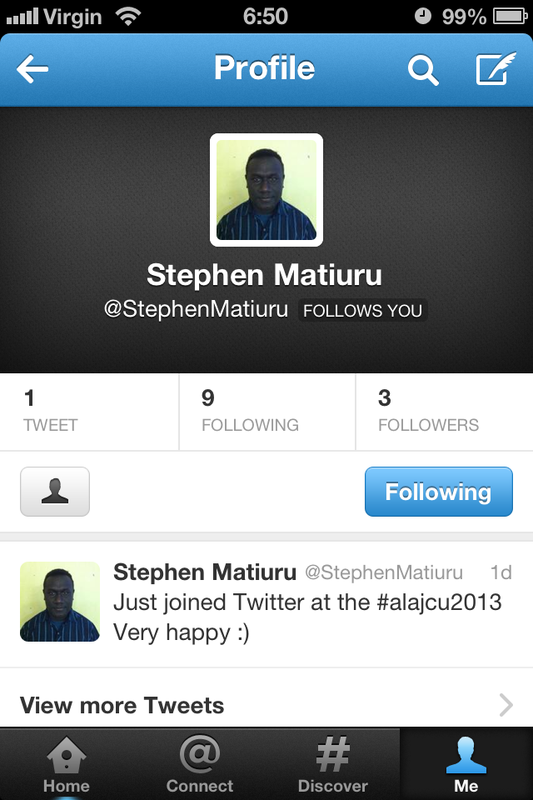 This, in turn, led to the next cool outcome: three of the program participants joined Twitter before the course ended. 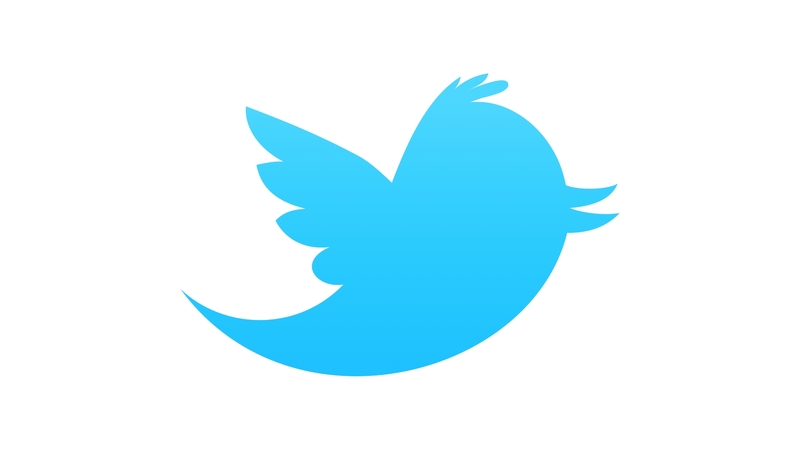 So, although the four-week Pacific Island Mental Health Nurse Leaders program is over, it is easy to stay connected with some of program participants using social media. 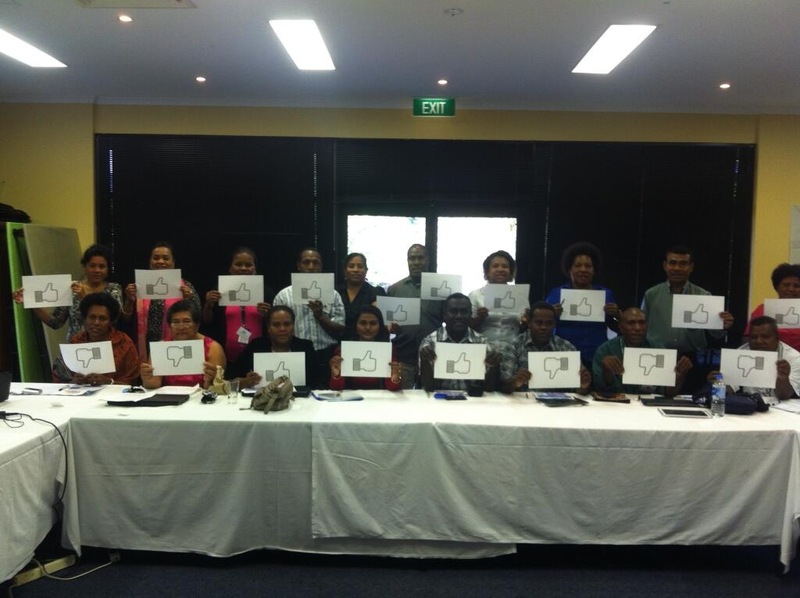 If you are a mental health nurse who can share information, resources, ideas and camaraderie, please follow these mental health nurses from PNG: they are your Wantoks. Mental health health nurses speak one language; we are wantoks. How do we know? By the connections. 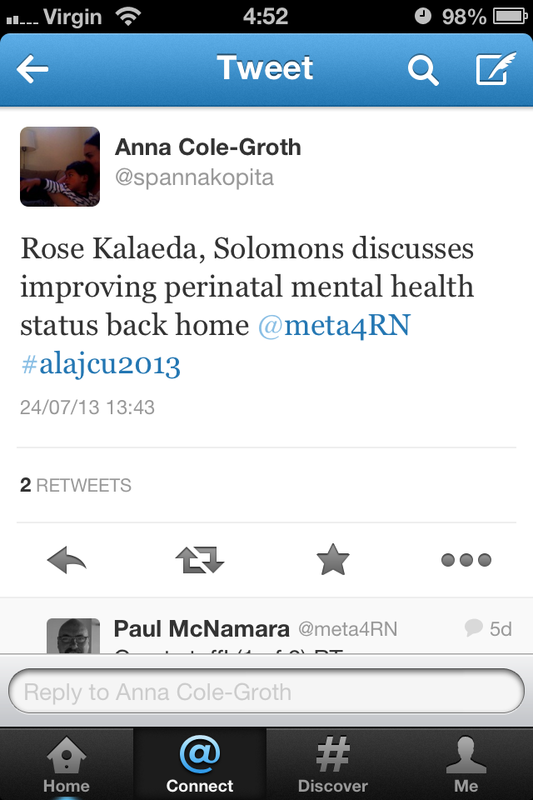 As shown above we connected content (perinatal and infant mental health is one example) and we connected clinicians (in person for four weeks, and looking ahead via Twitter). Congratulations to James Cook University and AusAID for the work that they have done. Now it is time for mental health nurses and others interested in perinatal mental health to continue the work by sharing information, resources and camaraderie with mental health nurses from Pacific Island nations: they are our wantoks. 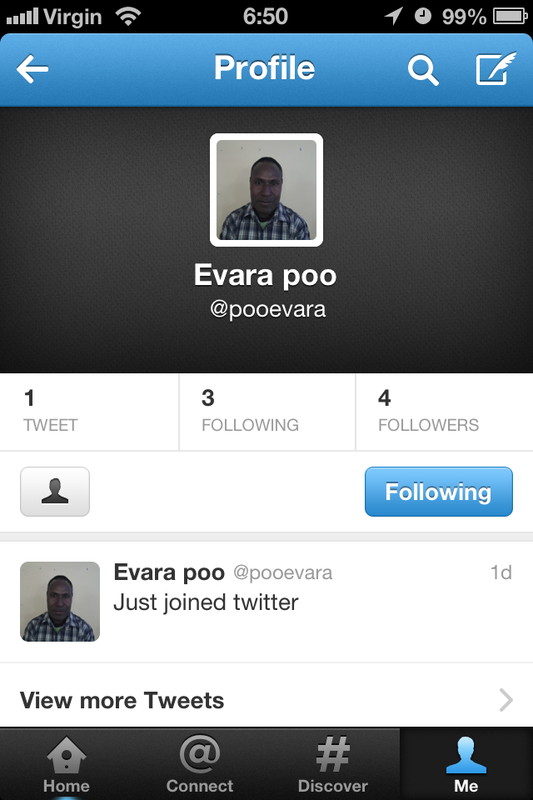 This entry was posted in Blog and tagged #SoMe (Social Media), innovation, nursing, Pacific Island nations, Perinatal Mental Health, Twitter, workshop on 31 July 2013 by Paul McNamara.